Leading Man of ‘My name is Asher Lev’ suffers stroke. 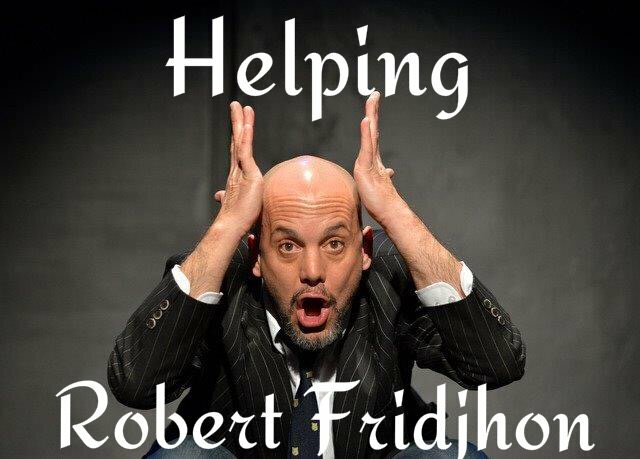 The brilliant Robert Fridjhon, actor and playwright, suffered a cerebral stroke this week and is recovering in hospital. Robert was traveling back from an interview with a newspaper journalist when the stroke struck and managed to pull his car over to the side of the road. A Samaritan found him and was able to act quickly and get him to a hospital. We understand that Robert’s recovery will be a long and arduous one and wish him strength and courage as well as our concern, love, and support. Robert was currently starring in the brilliant MY NAME IS ASHER LEV along with Alan Swerdlow and Louise Saint-Claire at Pieter Toerien’s Studio Theatre at Montecasino which had just opened and was receiving rave reviews. This production has since regrettably had to be canceled and everyone who has already booked is asked to return to their point of purchase for refunds. Robert has developed a long and successful relationship with Pieter Toerien Productions, having starred in and written a rather long list of great theatre. Robert was commissioned to write the South African premier of TWITCH after which he penned and starred in WILD, BOHEMIAN RHAPSODY and most recently SHERLOCK HOLMES, which he wrote with his fiancé Bronwyn Gottwald. Robert is well known for his comedy roles in amongst others, THE PLAY THAT GOES WRONG, JEEVES AND WOOSTER, DON’T DRESS FOR DINNER, as well as a long list of comedy farces in which he partnered up with his friend, the equally funny, Alan Committie. A determined and positive personality which should stand him in good stead on the road to a full recovery. We wish him well and look forward to the piece of theatre that is born from this unfortunate experience. In a still largely unregulated industry with no pension fund, no medical aid and no continuous employment, Entertainment Industry practitioners bare a burden that belies the nature of their industry and sometimes, in times like this, becomes too much to handle alone. Help for Robert has been set up and you are welcome to donate anything you are able to or wish to, to the cause. The Link below will take you to the Generosity.com website where you can make your donation. The currency is USD so you are going to need to do some calculations first, although USD1=ZAR13 seems about average for now. Pieter Toerien Productions garners top Theatre Awards Not just another production! !